Over the past few years we have worked on several projects spanning across the country, each presenting their own unique challenges. 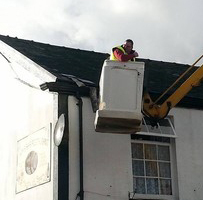 At Dizzy Heights we pride ourselves on always getting the job done. 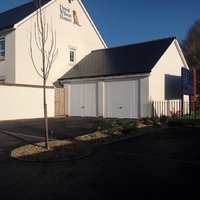 Check out some of our past projects to see what we can achieve. 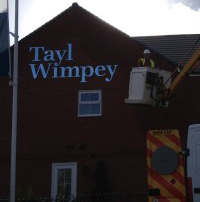 Lettering at Allt Yr Yn, Newport; A prestigious development by taylor Wimpey. 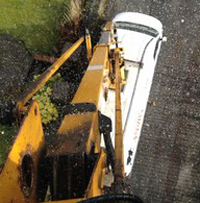 We where contracted by JPB Tree Services to provide access and labour while pruning an overgrown tree for Swansea Council. Check out the view from 50ft n the air – sawdust everywhere. 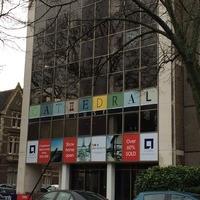 Here we were subcontracted to Adrian of Fresh Graphics of Cardiff. 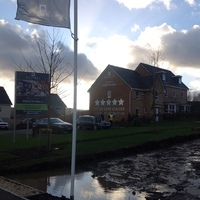 Emilio from one of Merthyr’s top restaurants – La Bodega asked for our help with some slates that had come loose in the high winds. 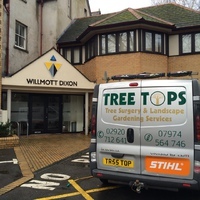 Working in conjunction with Treetop’s Tree Surgeons. 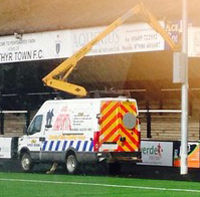 Down at Penydarren Park – fitting signage for Merthyr Tydfil Football Club. 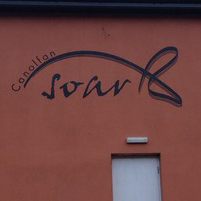 Working in conjunction with the Colour House - Merthyr Tydfil's premier signage company. Lettering installed for David Wilson Homes. Lettering installed for Barratt Homes at Horizon Walk in Llanelli.